A classic white tee is one item in your closet that will never go out of style. So how do you elevate this look to be something with more personality? We break down five ways to style a classic white tee for women. We paired our relaxed fit classic white tee (#6400) with high waisted leather pants and some classic flats to make it a little more feminine. The textural difference makes this simple look a little more unique. 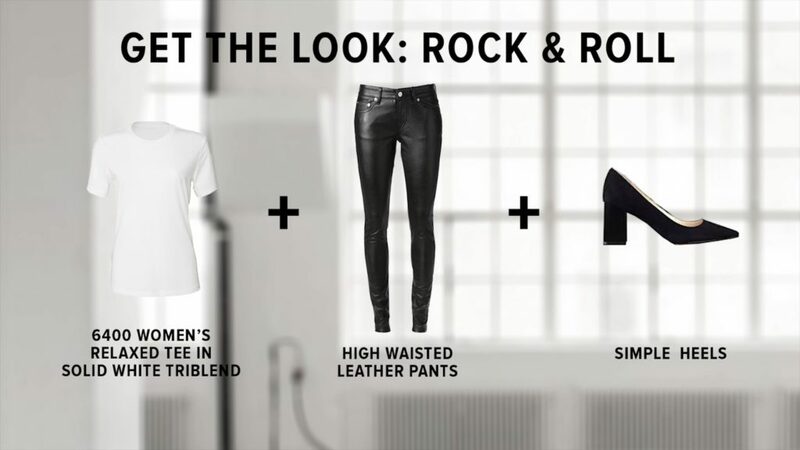 The leather pants are high waisted so this shirt can be tucked in which helps give your body more of a shape. 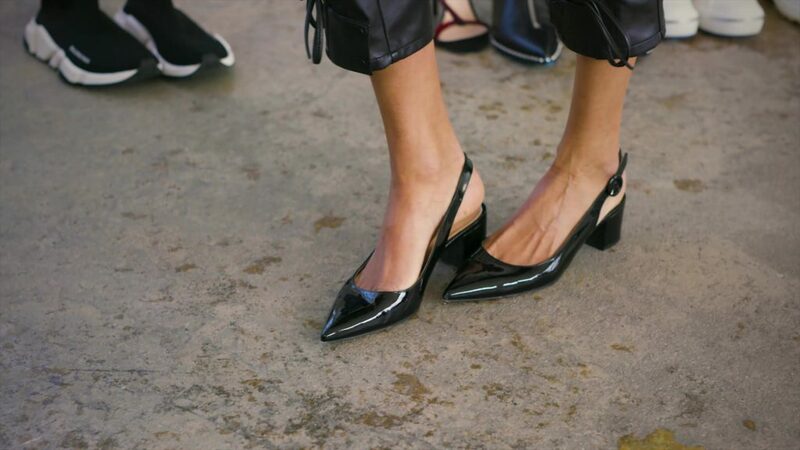 Leather can be a little masculine so adding a more feminine shoe can balance out the look more. You’re more than likely going to need at least one business casual look in your future so we suggest this combination. 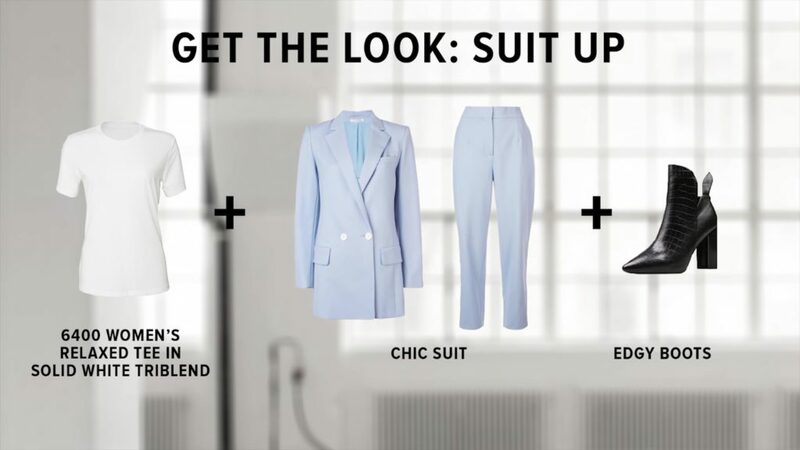 A woman in a suit seems to be something of the past (think Cindy Crawford in the 90s) but for the modern woman you can really make the look on trend for today. We paired a sleek baby blue suit with edgier boots in order to bring the look up a notch. 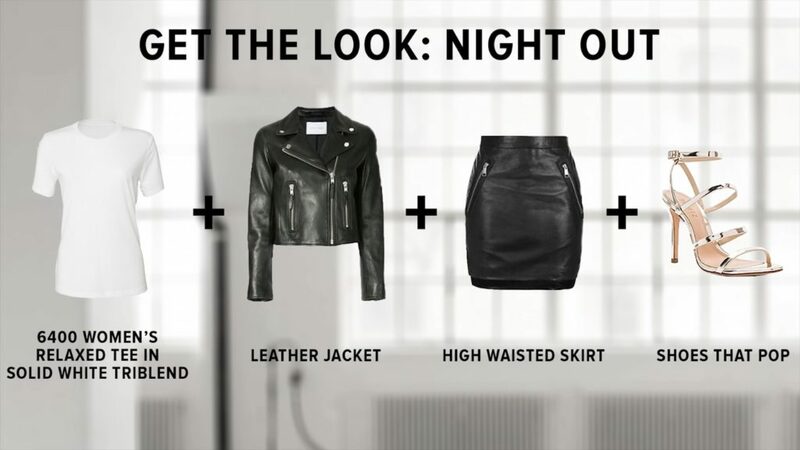 Whether its a date night, girls night, or a friend’s party, a “night out” outfit is a necessity for all your social endeavors. Try a leather jacket over the BELLA+CANVAS 6400 in white with a high-waisted skirt. Want to add an extra pop? Throw on an eye-catching pair of heels. 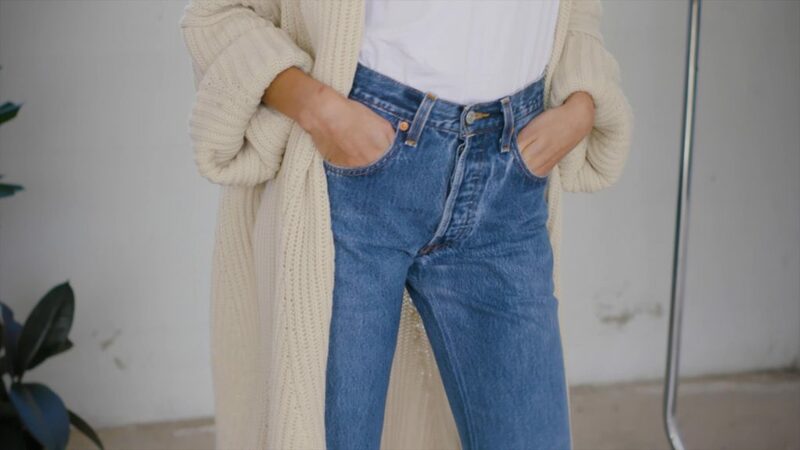 Next, our white BELLA+CANVAS tee is now paired with a pair of vintage Levi’s, some high sneakers, and then an oversized cozy sweater. 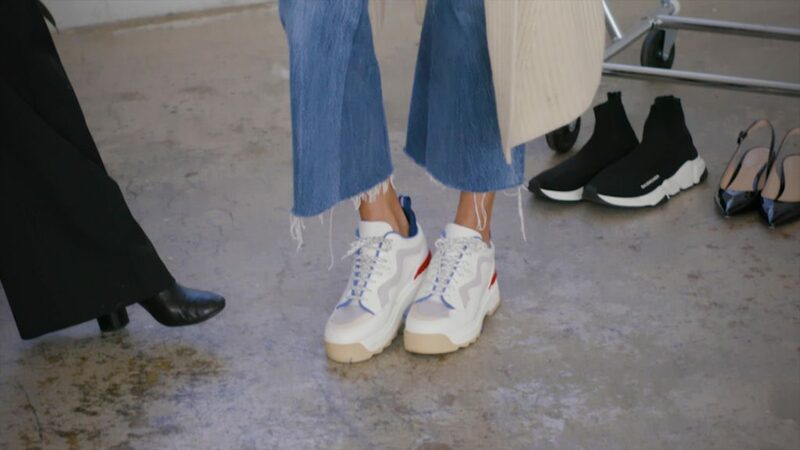 The statement high sneaker trend is becoming more and more popular with designers like Fendi, Valentino, Balenciaga, Dolce and Gabbana, and Gucci. The white t-shirts and jeans look it’s a very iconic look from the 60s. 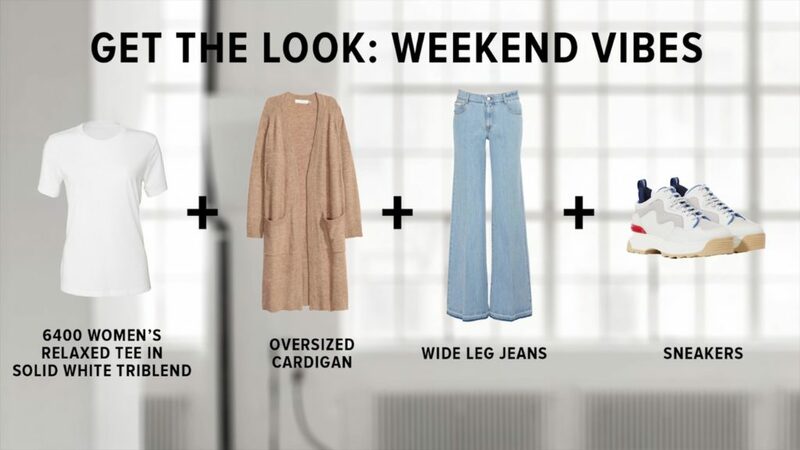 We made it very casual but you can dress it up with a bold red lip and strappy heels. 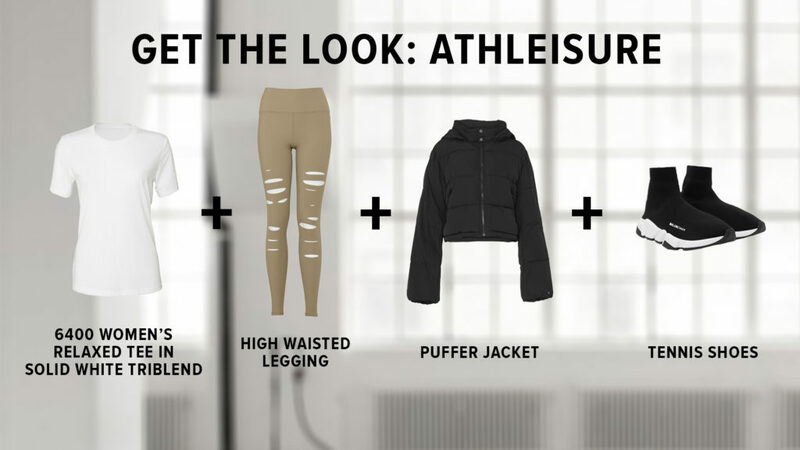 You might have heard this from us before, but the athleisure trend is the new normal in the style game. We took the 6400 and tied it up to be a crop top then paired it with Alo high waisted leggings with cut-outs. We threw on a puffer jacket and some sock sneakers from Balenciaga to add a statement. This look is really great for going into the gym but you can definitely go out with friends or running around town in this as well.